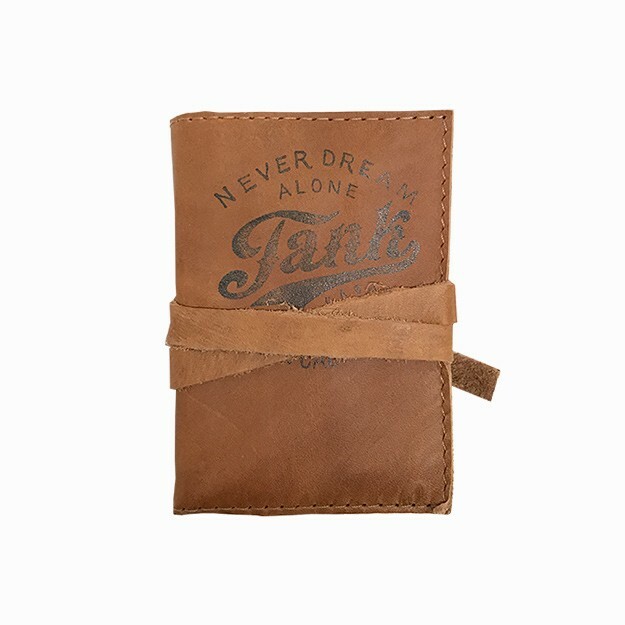 Handmade and hand-printed leather mini-journal with leather strap. The inserted journal is removable/replaceable. 4.5" tall and 3" wide.